How did you find out about the romance novel? I found out about the romance novel by my mother. She had some romance novels and I spent many years reading other genres such as historical and crime fiction. But then, some years ago, I went to the library for some romance books including Nora Roberts, Amanda Quick, Johanna Lindsey, Virgina Heily and from that moment I have not stopped reading romantic fiction. Have you always wanted to write romance novels? Yes, absolutely. I always write romantic fiction for one simple reason: I think that everyone needs a “happy ever after” even through fiction novels. I love to write stories that make the reader feel good. Who are your favorite authors and how they have influenced you? Well, my favorite authors are Amanda Quick, Johanna Lindsey, Nora Roberts, Virginia Heiley. Also, I love Federico Moccia. And I mostly admire my beloved Diana Palmer because she taught me to love stories of the west; therefore my first novel is based on the far west. In your novels, you write about the old west and the beginning of the 1920's because these represent times of change. So, my question is: What other time would you like to write about and why? Well, I would like to write about the transition between the Regency and Victorian times. My forthcoming novel is set in London, when the Queen Victoria has been ascended to the throne. I think this is another very interesting time period. Research is very important to give credibility to the plot. So, how do you find the right balance between the historical part and romantic part? I spend more time researching than writing. Many details are omitted when you write romance novels, especially the historical ones. I try to include historical facts and put small doses of it in the plot such as idioms used during that time period. About 90% of research does not exist in the novel. Like I said, only a small dose such as 10% of the research exists. What was it like before publishing your first novel “Dama de tréboles”? Well, it was my first novel and I wanted to write about what I really liked, and as I was absolutely inspired by Diana Palmer's novels (I read all of them) I decided to set my first novel in the Old West, but in the state of Colorado because it seemed very interesting and it was when they joined the two great railways: the East and West. I was sure that it was fairly difficult to publish a western romance novel here in Spain because no one had ever done it before. 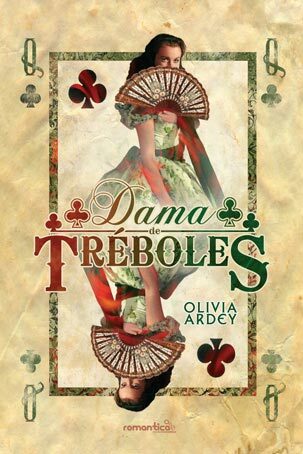 So I tried several publishers and I was lucky; three months later, the Spanish publisher "la Esfera de los libros", decided to publish Dama de tréboles, being the first western romance written in Spanish and published in Spain. What characteristics are essential in the romance characters? The first thing that they should have is strength, a lot of charisma and character, because you need to catch the reader´s attention and seduce him. I prefer to always create characters with flaws, because the flaws make them human, the heroes on paper do not interest me. I am mostly interested in heroes and heroines with strengths and weaknesses. 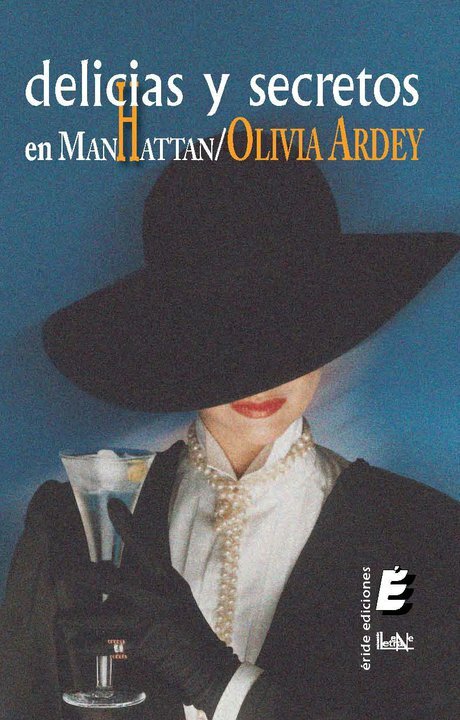 Delights and Secrets in Manhattan, by Olivia Ardey, spanish edition from Sianny on Vimeo.